Puerto Rico is still recovering from the devastation of Hurricane Maria in 2017. In an effort to help, she donated $2 million to the relief effort. It is a two-part donation; half is donated to the Hispanic Federation’s UNIDOS Disaster Relief & Recovery Program. The other half is devoted to sustaining and supporting the arts on the island through the Flamboyant Arts Fund. Lin-Manuel Miranda, creator of Hamilton also contributed to her donation. Felicity Huffman copped a plea, along with 12 other parents The remaining 37 individuals including, Lori Loughlin have been offered plea deals with different recommendations for prison sentences, to be determined by the amount they paid in bribes. Which means, Lori and her husband are in a way worse position than Felicity. Felicity’s bribe was $15K, she could serve as little as 4 months, whereas, Lori’s was $500K and her sentence could range from 2 to 2 ½ years. If they do not opt to a please the Federal grand jury can add charges like money laundering, which would significantly raise the prison time. Female Rapper YoYo! Word on the curb she’s already began and she’ll likely take on the role as mentor. What does Zamunda and Wakanda have in common? 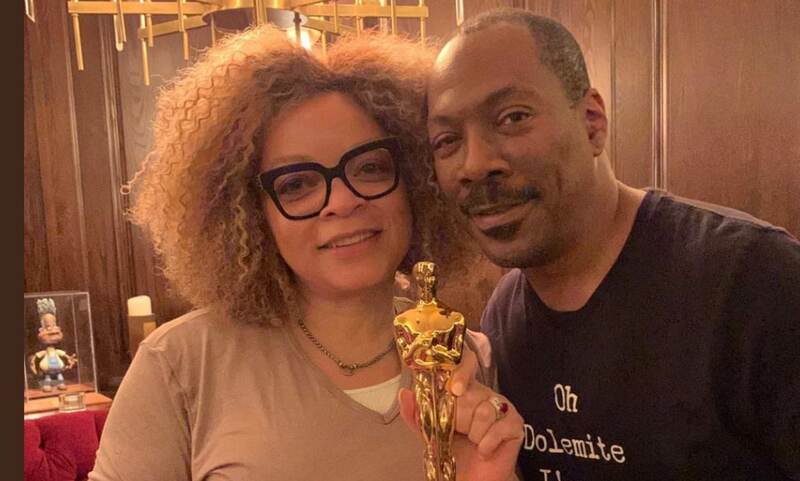 Academy Award-winning “Black Panther” costume designer, Ruth E Carter. She’s been taped to create costumes for African royality again, designing costumes for Prince Akeem like she did with King T’Challa and earned an Oscar for “Best Costume Design”. Coming to America is slated for release in 2020. Dwayne Wade’s Last Dance as a Miami Heat! All good things must come to an end, Dwayne Wade has touted the season as “One Last Dance”, his final run as a pro NBA player. Tonight will mark his last home game against my Philadelphia 76’ers. You better believe the tickets aren’t cheap. The cheapest 300-level ticket is $225, the cheapest 100-level ticket is $362, and the cheapest “standing only” ticket is $107. Post retirement Dwayne says he will be in therapy, while he knows he has a long life ahead of him and other great things to accomplish it’s not basketball and that’s going to be a big change.